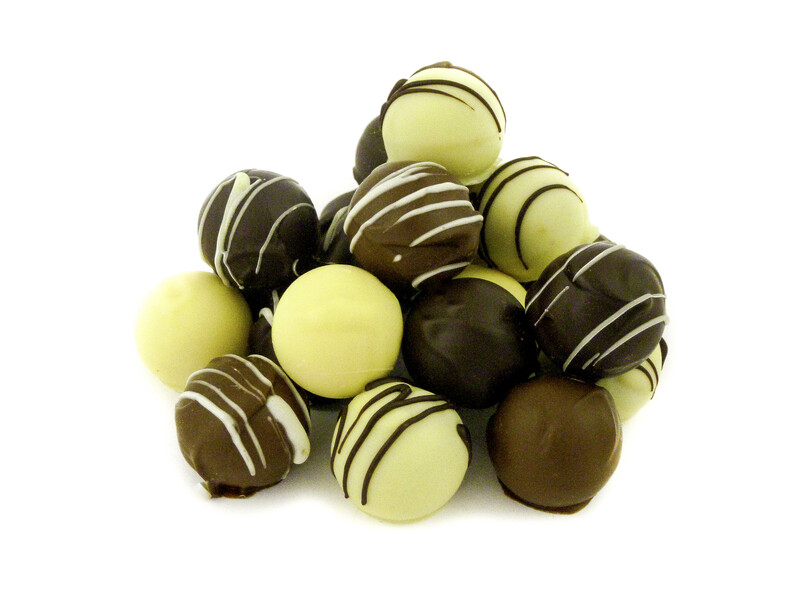 Find out about our Handmade Chocolate Selection! Buy Luxury Chocolate Gifts Online! 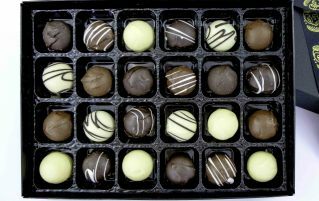 Here at Aphrodite Chocolates, we have the perfect Chocolate Gifts. Looking for the perfect gift for that special someone? Then why not send one of our Prosecco and Chocolates Gift Boxes! 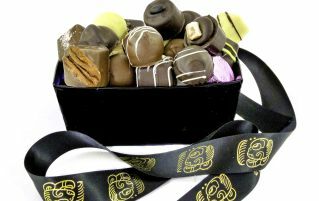 How about a box of our luxury, hand crafted assorted chocolates? We have contemporary boxes, plus a range to suit the more tradional customers. In fact, with everything from little somethings to luxury WOW gifts, we have the finest selection for every chocoholic out there! 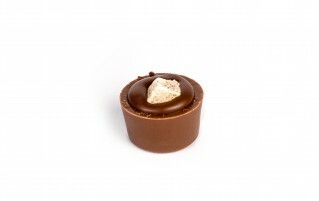 Our dark roast coffee creams – a firm Aphrodite favourite! A handpicked selection of our chocolates, presented in our Aphrodite Gift Ballotin. 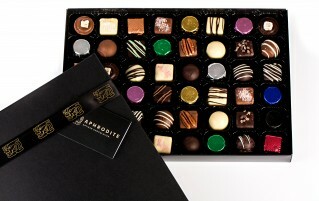 A selection of our chocolates from across the range, presented in a bespoke Aphrodite Gift Box. Our Superfood chocolate! 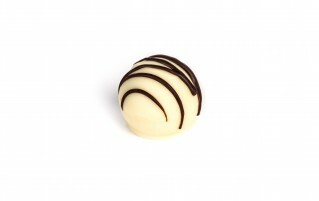 Sweet & rich blueberry, thickly encased in our signature 32% white chocolate. Rich, fine, dark roast coffee, blended with 72% dark chocolate. 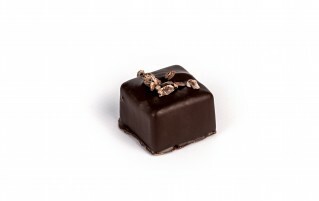 Encased in our signature blend dark chocolate and decorated with cocoa nibs. Sweet, chewy crustallised pineapple, combined with 34% milk chocolate, and topped with a piece of crystallised pineapple. Aphrodite Chocolates, a family-run business, have been creating the finest Artisan luxury chocolates since 1997. From the heart of the Derbyshire countryside, we handmake each and every one of our beautiful and luxurious chocolate creations. From unusual chocolate collections, to the more traditional of flavours. From Easter eggs filled with our handmade chocolates, to chocolate covered figs filled with spiced brandy mousse. We’ve tried it all! 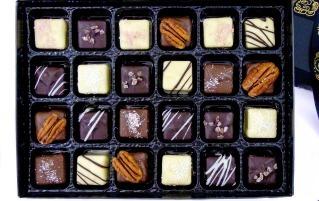 On our website you’ll find our beautiful boxes, crammed full of our chocolate delights. Are you more of a vintage wine lover? Don’t worry! We have something for you too. Our chocolate and wine gift boxes! We pack a bottle of Vintage Claret from an Artisan winemaker into a presentation box. Then we add two boxes of our amazing luxury handmade chocolates. The result? A thoughtful gift of the highest quality! Prefer something with a little more fizz? 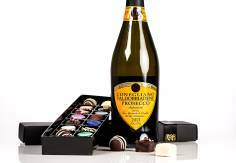 Try our Prosecco and chocolates gift box instead! Our top picks from the range of products we create by hand in Derbyshire. Chosen for the true chocolate connoisseur. From luxurious chocolate gifts to single origin blends - we've got something for everyone at Aphrodite Chocolates. Our bespoke Aphrodite Gift Box, filled with a selection of our fruit truffles. 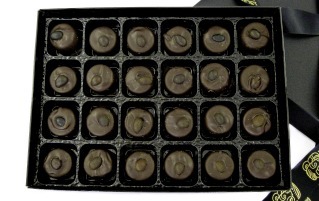 A selection of our chocolate fudges, packed in one of our bespoke Aphrodite Boxes. The ultimate gift of luxury handmade chocolates and Prosecco. All of our Chocolates are handmade right here in the UK and we’re pleased to be able to offer an international delivery service for all of our handmade chocolates products.